Remember the small town of Belmont that once had a bylaw prohibiting kids from dancing? Well, what are the chances of Lark and her Dad moving to another small town only to discover that dancing is taboo? Let the dance rebellion rise again at this three-act musical comedy which includes a four-course dinner. In this new offering, the iconoclastic duo assembles a visual environment, sound references and elegant, passionate colours, continuing a journey they began 10 years ago. A flamenco story on an ice floe—the senses collide in an original and poetic piece. DJD presents a new piece, hot to the cool of Magnetikae. Lovestruck follows Cupid’s arrow through a path of myth, love, fantasy, and desire, featuring live music by the Rubim de Toledo Ensemble. Run with a Purpose. Register now for the 39th annual Calgary Police Half Marathon, 10km Run, 5km Run/Walk and 1km Rookies and Legends indoor fun run, April 28, 2019 at Mount Royal University. Proceeds from the event help support the Calgary Police Foundation and the six youth based programs it funds. These programs help keep our youth safe and are offered exclusively in partnership with the Calgary Police Service. As the first half marathon introduced in Calgary, it’s a great run to start your running season at the end of April. Visit www.CalgaryPoliceHalf.ca for info and to register. The fruit of an intense 2-year labour of love between famed Canadian singer-songwriter, Joni Mitchell, and Choreographer Jean Grand-Maître, witness what the songstress describes as “the most satisfying project of her career”. Joni Mitchell’s The Fiddle and the Drum gives passionate expression to Mitchell’s lifelong concern with the issues of conflict, violence and humanity’s continuing devastation of the environment. Alberta Ballet dancers depict Mitchell’s most famous characters from her lyrics and artwork, at times in counterpoint, abstractly illustrating our fragile hope and potential for the creation of beauty. Day Out With Thomas provides an opportunity for kids to take a ride with their favourite tank engine, meet the railway controller, Sir Topham Hatt, have fun in the Imagination Station, enjoy face painting, musical entertainment and much more! Get ready for The Steam Team Tour at Heritage Park Historical Village in Calgary! 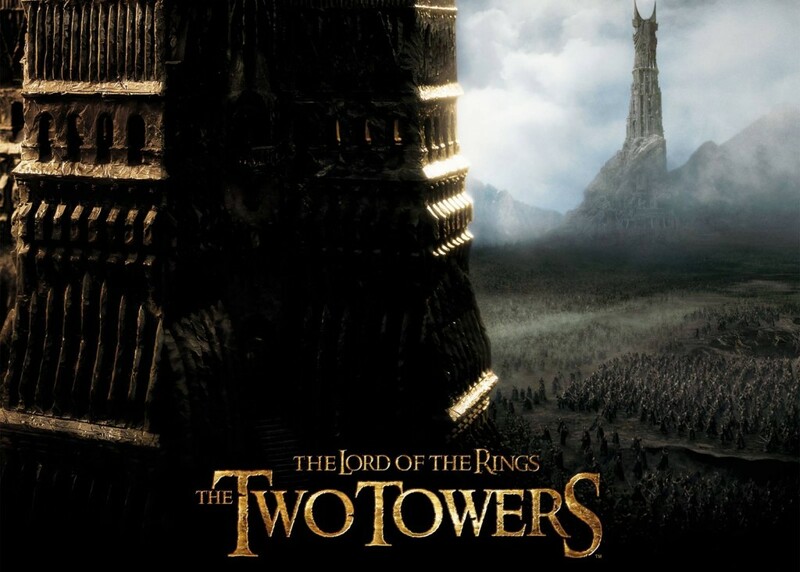 Tickets must be purchased in advance. Enjoy an evening of runway fashions, music from platinum recording artist Jocelyn Alice, dance troupe performances from Army of Sass and Pulse, complimentary whiskey tasting and more at the inaugural Strut 2019. Dare to Care has partnered with Inspire Project Canada to prevent bullying in schools and sports. Join three-time Grey Cup Champion Randy “Chevy” Chevrier as he hosts this stunning event. Get your tickets and join the Strut to prevent bullying. Stampede City Sessions welcomes Horse Feathers and Sykamore to the Webber Academy Performing Arts Centre in Calgary. SCS is a live music broadcast series that airs on KSPS Public Television, East Tennessee PBS and WKNO Memphis PBS. Sykamore (a Calgary based recording artist) will take the stage at 7:00 PM. Horse Feathers takes the stage at 8:30 PM. Horse Feathers feels like a secret you don’t really want to share. Over twelve years and five albums, a passionate fan base has experienced this band as a precious commodity that they want to keep close to their hearts. For tickets, click here! Join more than 100 nation-wide hikers on Sunday, May 5 to kick off National Palliative Care Week in Canada, a national fundraising event that brings together palliative care organizations across Canada to raise funds and awareness in their communities. Each year hundreds of people join in for this fun, family and dog-friendly event, raising over $100,000 each Hike. 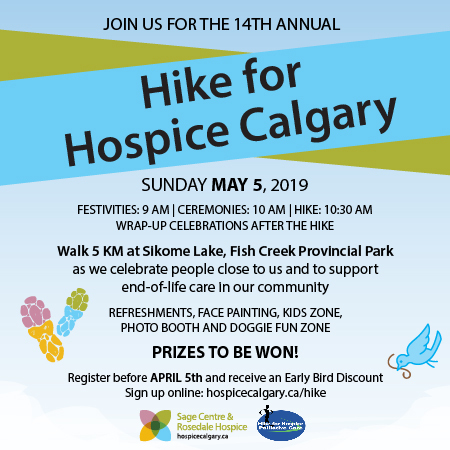 Funds raised go towards Hospice Calgary’s services for people facing advanced illness, end-of-life, or life after the death of someone close to them. For more information, to register online, or to donate, click here. The 107th Grey Cup presented by Shaw is coming to Calgary! Join Global Calgary at the official Grey Cup Kickoff breakfast at Olympic Plaza. Grab some free pancakes, take in the live music and Stamps cheerleaders and check out the Grey Cup! Come down and you’ll have a chance to pre-buy your Grey Cup 2019 tickets. Tickets go on sale May 7 at 10am. Come out for an unforgettable evening of circus excitement complemented by live music, art, drag performances, amazing entertainment by BassBus along with live and silent auctions featuring one-of-a-kind art and unbelievable experiences. Splash of Red raises awareness of the issues surrounding HIV and provides critical funding for prevention, education and support programs in Calgary and across Southeastern Alberta. MAMMA MIO- HERE WE GO AGAIN! Jubilations is celebrating the wonderful music of ABBA and other classic bands of that era. They’ll tell the tale of love lost, love found and love rediscovered. Take a step back to the 70s when the characters first meet and see how lifelong friendships began. For tickets to this three-act musical comedy which includes a four-course dinner, please click here. The 57th annual Calgary White Hat Awards, a one-of-a-kind event that includes a red carpet, live awards and gala reception, will take place on May 15. The Awards celebrate inspiring Calgarians in the tourism industry who go above and beyond and strive to make their guests’ experience a memorable one. Order tickets and join in for a night of high-energy celebrations where Calgary White Hat Award winners are honoured for service excellence. The Royal Foundry performs at the Webber Academy as part of the Stampede City Sessions Live Music Broadcast Series. The Royal Foundry make the kind of up tempo folk pop that comes from harmonious alignment. It makes sense, then, that band members Bethany and Jared Salte are married. As the duo write music inspired by their marital life along with life lessons and challenges, they embark hand-in-hand, creating thought provoking lyrics, mesmerizing melodies, and a charming, unforgettable chemistry. Tickets are SOLD OUT! The organizers of The Lady Ball 2019 in support of Ovarian Cancer Canada would like to thank Calgarians for their overwhelming support. Ovarian cancer is the most fatal women’s cancer. Symptoms are usually confused with those of other diseases, and there is no screening test. 1 out of every 2 women diagnosed will not live past 5 years. Do you have the #LadyBalls to do something about it? For more info or to donate visit their website. The annual Night of Wonders gala is the premier event of Children’s Wish, Alberta & NWT Chapter. Night of Wonders encapsulates the essence of wishes – creating joy, awe, and wonder. Be inspired by the profound joy and transformation a wish can bring to a child with a life-threatening illness. Children’s Wish Foundation Canada is the largest and only all-Canadian wish granting charity dedicated to granting wishes to Canadian children between the ages of 3 and 17 who are diagnosed with a life-threatening illness. Help grant the most heartfelt wishes of local children battling life-threatening illnesses and get your tickets here. MS impacts all Canadians, and a future free of MS is achievable. By participating in the 2K, or 5K MS Walk, you are helping raise much needed funds for MS research and services for people affected by the disease. Are you ready for the MS Bike experience? You’ll conquer Canada’s best roads and accomplish your wellness goals, while accelerating the pace of MS breakthroughs and empowering people affected by MS to live their best lives. You are changing the future of MS and you will have full support through every kilometer of your journey. Sign up for MS Bike and experience the excitement, challenge and sense of community that you’re looking for. See you at the start line! Prairie Winds Park will be rumbling when Country Thunder Alberta returns with an all-star line-up for 2019 including Miranda Lambert, Jake Owen and Jason Aldean. Cirque du Soleil is coming to Calgary with its delightfully-imaginative and visually-stunning production LUZIA, a waking dream of Mexico. For the very first time in Alberta, audiences are invited from August 16 – September 15, 2019 to a redesigned white-and-gold Big Top at Stampede Park where will LUZIA take you to an imaginary Mexico, like in a waking dream, where light (“luz” in Spanish) quenches the spirit and rain (“lluvia”) soothes the soul. With a surrealistic series of grand visual surprises and breathtaking acrobatic performances, LUZIA cleverly brings to the stage multiple places, faces and sounds of Mexico taken from both tradition and modernity. One in 10 Canadians has kidney disease. Every day 15 people are diagnosed with kidney failure. This diagnosis means the kidneys, which usually filter 200 litres of blood a day, no longer work well enough to keep the person alive. There is no cure. Without treatment (dialysis or transplant), kidney disease is fatal. Sign up now for the Kidney March, September 6 – 8, 2019. An unforgettable 3-day, 100K walk from Kananaskis Country to Calgary. The money raised at Kidney March supports prevention, lifesaving research, patient programs, kidney kids camps, and organ donation. The Halloween Howl Fun Run and Walk, supports life-changing diabetes research through family fun and exercise. Our goal is to create a unique event, that is exciting and engaging for participants and their families, while also increasing diabetes awareness. Youth Singers delivers a leading-edge professional curriculum encompassing choral (from classical to contemporary pop), musical theatre and a wide variety of dance styles. Our artistic team includes over 50 outstanding educators, directors, arrangers, composers, choreographers and dramatists. Youth Singers of Calgary is a Performing Arts Company with divisions covering all ages from three to 93. Register today! Through the generous support of the Calgary Flames Foundation, YMCA Calgary provides grade 6 students with a full year membership and special programming for FREE! You’ll practice independence and leadership in a safe and positive place that promotes the values of respect, responsibility, honesty and caring. As a Calgary Flames Grade 6 YMCA Member, you’ll have free access to all YMCA Calgary locations any time throughout your grade 6 year (memberships are valid until August 31 of the same year). Drop by any YMCA location with your completed grade 5 report card and you’re good to go! Be independent and grow with other positive, healthy youth. Become a member today! Grey Eagle Resort and Casino is one of Calgary’s newest entertainment destinations located on the Tsuu T’ina First Nation, nestled in the beautiful backdrop of the Rocky Mountains. Offering to their guests professionally conducted, exciting entertainment in a unique environment! Global Calgary is proud to support the Canadian Women’s Hockey League and Calgary’s home team, the Calgary Inferno! Check out their website and find out how you can support Women’s Hockey in our city! With affordable game packages and single ticket pricing, what better way to ring in the new year then to show some team spirit!